My August column is published today in the Scottish Catholic Observer. 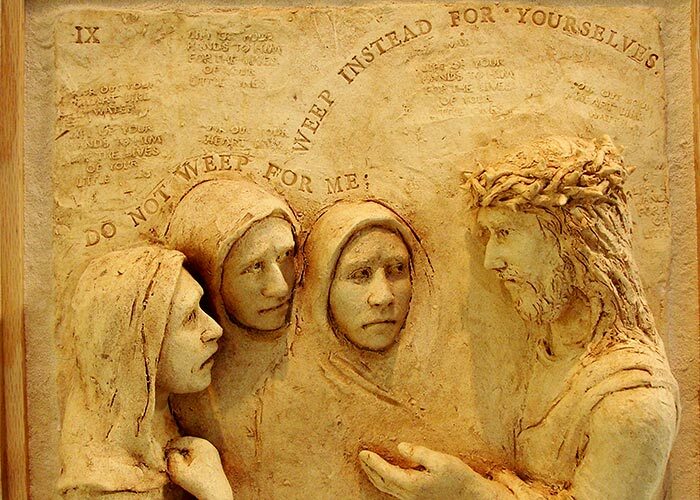 The eighth station – Jesus meets the women of Jerusalem. Who were these women and what were they really weeping about? Why do they get a mention today after almost two thousand years? Is there a message here for any of us? Get the paper this weekend and see for yourself. Don’t worry if you miss it. The full text will be available here next Friday (5th September). There is a lot more in the paper though. I’m just back from Carfin Grotto. I’m over there regularly and I wondered if people knew just how beautiful it is. That’s why I’ve published this post. 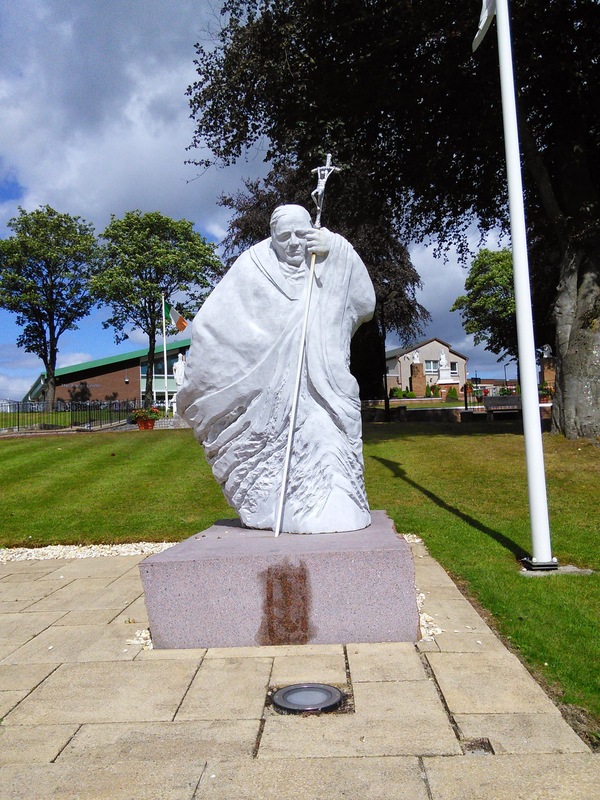 Canon Taylor was the parish Priest of St Francis Xavier parish in Carfin, near Motherwell, Scotland. He led a visit of some parishioners to Lourdes early in 1920 and was inspired to build a replica of that shrine in Lanarkshire to give access to the many who could not go to Lourdes. With the help of many workers, out of work in the depression, he built a magnificent grotto which has become the National Shrine of Scotland. Saint Bernadette at the grotto. 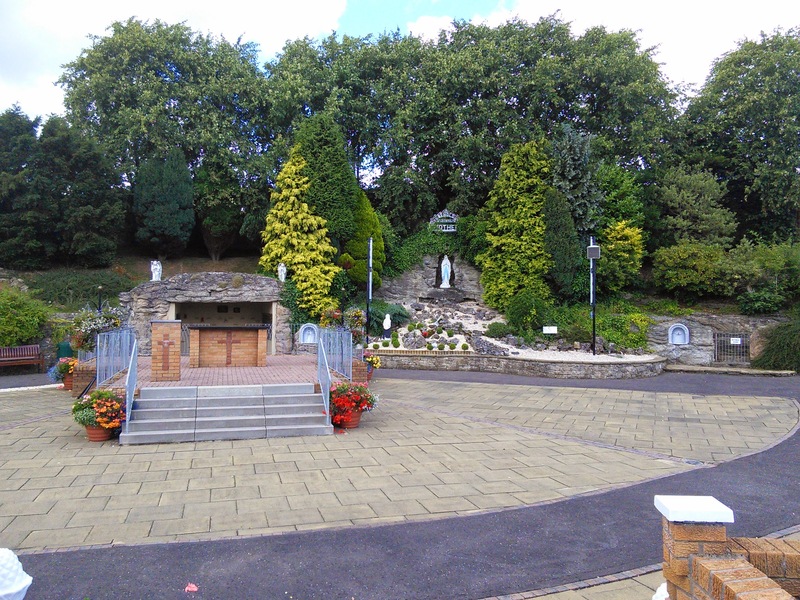 The little grotto with statues of Saint Bernadette and Our Lady was the original part of tthe shrine which opened in late 1922. It has expanded greatly since then. There is the Saint Theresa Chapel which overlooks the site and has been a focus for pilgrimage masses and rallies for decades. Another glass chapel was added in more recent times. The Glasgow Garden Festival was held on the banks of the Clyde in 1988 as a spur to regeneration of the old industrial areas of Glasgow. The site had a small glass chapel where visitors could go for a few moments of quiet reflection. After the Festival the site was being dismantled. The glass chapel had influenced many visitors and there was a demand for the chapel to be retained somewhere. In the end it was moved to Carfin and it now stands in the grounds of the grotto. There is exposition of the Blessed Sacrament in this chapel every weekday. The one o’clock mass is always well attended by people from Lanarkshire and beyond. 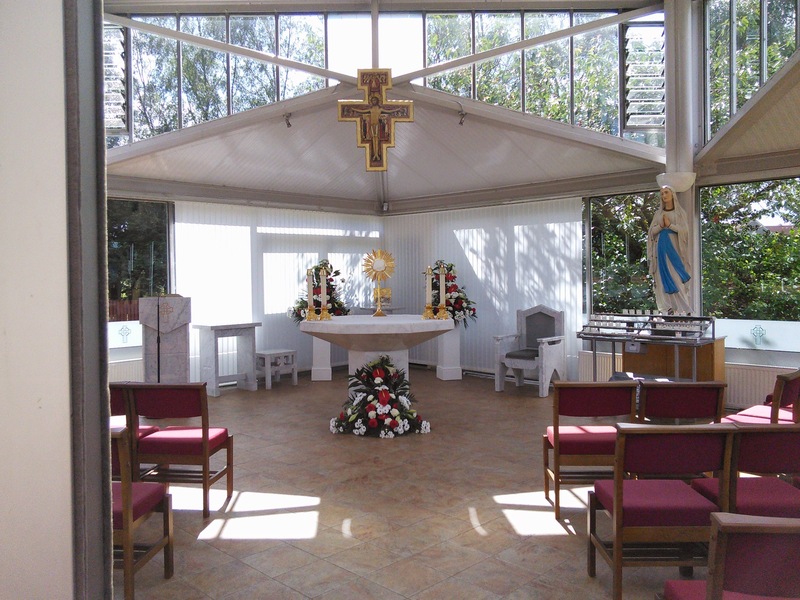 The chapel has become a favourite with many who feel a special quality in the tiny chapel. 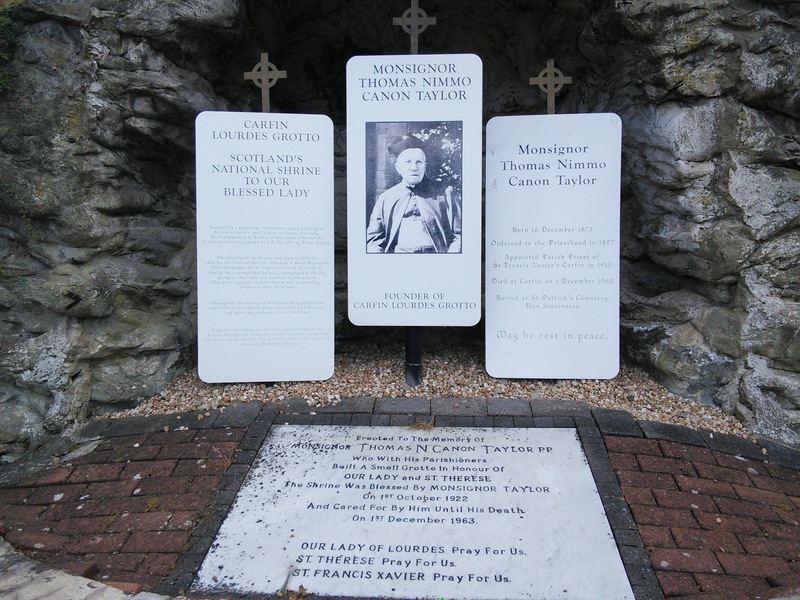 One area of the grotto has a memorial to the victims of the Irish Famines of the 1840s and the immigrants who came to Scotland to find work. 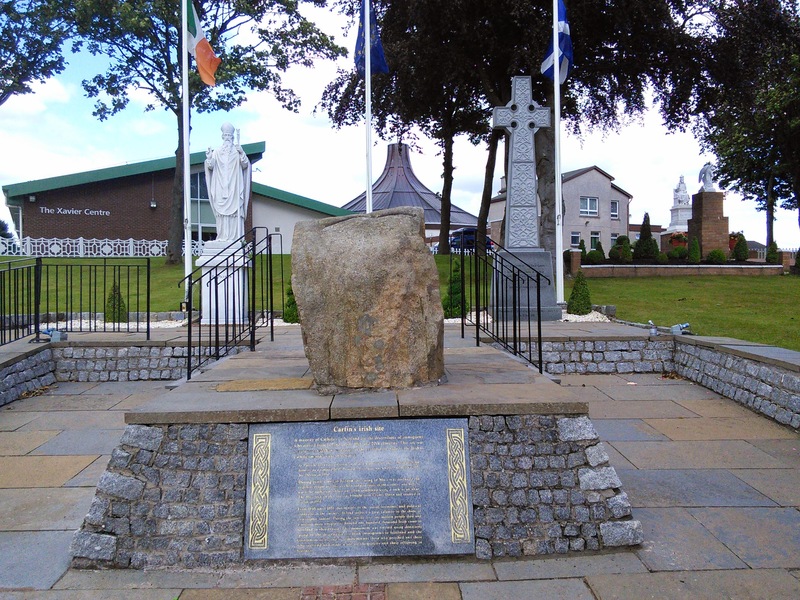 The memorial was opened by the then Taoiseach Bertie Ahern on behalf of the government and people of Ireland. The Irish immigrants and their descendants have formed a large part of the Catholic population of Scotland. 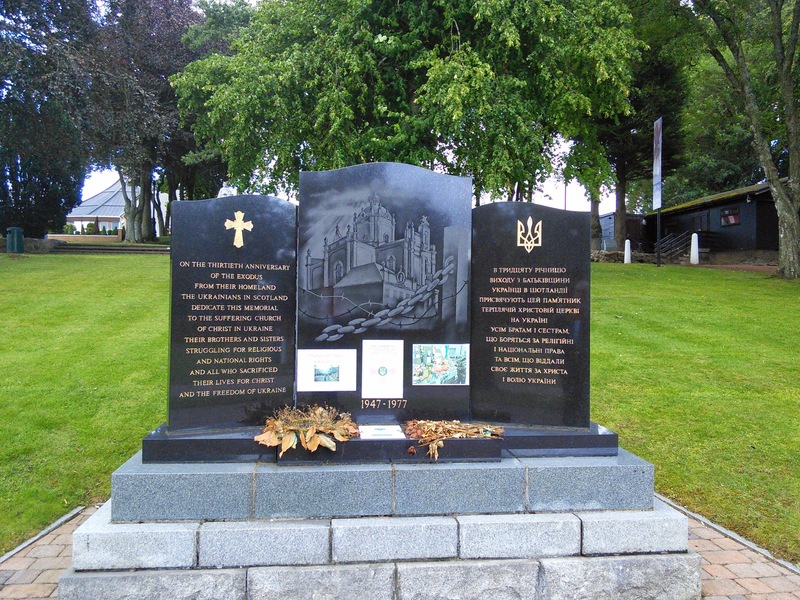 Other immigrants from Europe who came to Scotland to work in the iron and steel industry as well as the Lanarkshire coal mines have made their mark on the catholic population. They have also made their mark in the grotto. 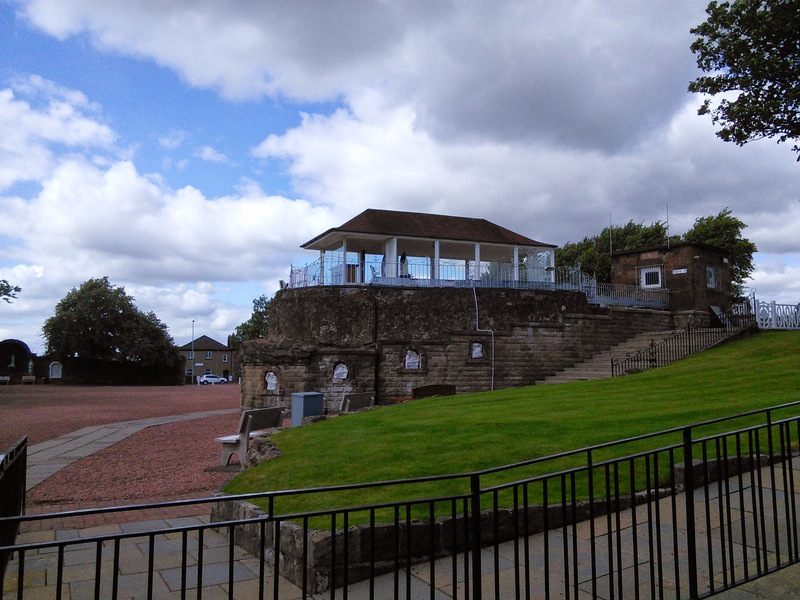 The shrine is a popular stopping place for visitors and has a new visitor centre and cafe where you can rest and enjoy a lunch or just a cup of tea. 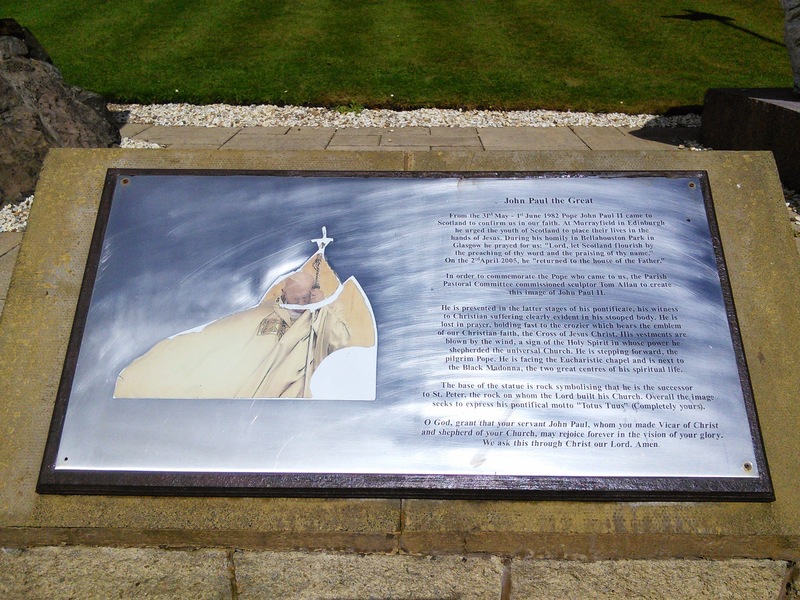 The memorial to John Paul II marks the great love Scotland’s Catholics had for him. A hidden gem in the grotto is the Chapel of the Angels. 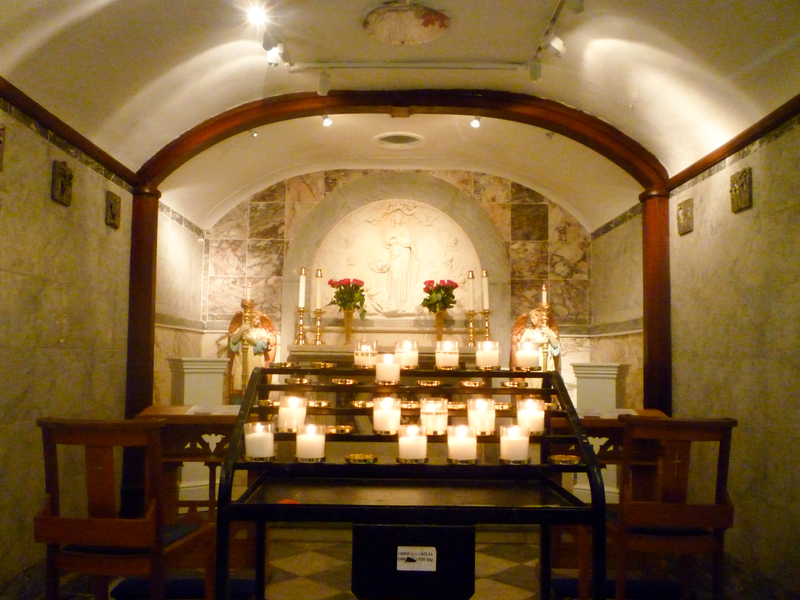 This is a tiny, underground chapel, unknown to many of the visitors. When you go there (and you must) you should find this little chapel and spend a few minutes there. A prayer would go down well too.